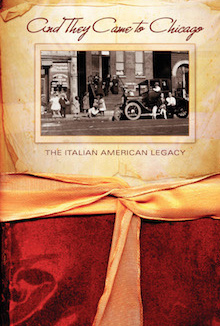 Narrated by Tony Award-winner Joe Mantegna, this Emmy-nominated documentary explores the Italian American experience in Chicago and beyond from the mid-1800s through the present day. And They Came To Chicago: The Italian American Legacy, traces 150 years of the Italian American experience in Chicago and across the nation touching on key themes that helped shape their communities. Narrated by Tony Award winner Joe Mantegna, a native Chicagoan, the program premiered to critical acclaim on PBS affiliate WTTW in Chicago in 2007. Featured interviews include the late popular film and TV actor Dennis Farina, noted Italian American historians Fred Gardaphé, Domenic Candeloro, author Gloria Nardini and politician Renato Turano.